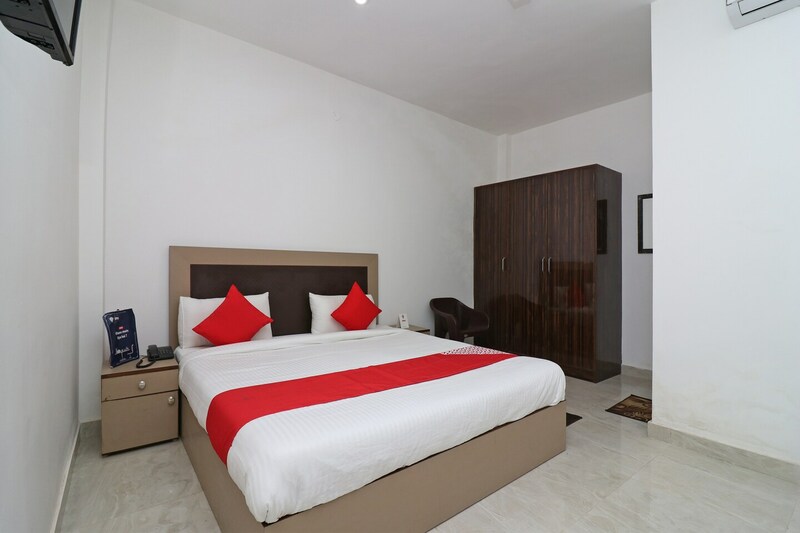 Location - Rv Homes is located at Community Center, Sector 45, Gurgaon, very close to the Huda Metro Station Special Features/USP/What's special - The rooms own white painted walls with decent wooden furnishings. Multiple room configurations are available basis requirement. The hotel is wheelchair enables with a seating area for guests. Amenities - The various amenities that the hotel offers include Free Wifi, Kitchen, King Sized Bed, AC, Power backup, Parking Facility, TV, Mini Fridge, Geyser, Card Payment, Elevator, Laundry, and CCTV Cameras. What's Nearby - Some of the fine nearby located restaurants include Shugaa, BiBo's Kitchen, Bar & loungee - Ramada, and Cafe Rouge - Ramada. One can reach these by taking a short walk.